We all know what ‘rhythm’ means, right? But in regard to horses, it encompasses more than just what we might put in musical terms as ‘beat’. As the first of the training scales, we need to have a really clear understanding of what is required before you can consider that you have fulfilled this scale, because without that, moving on to the subsequent scales is pointless. In short, if your horse does not have rhythm, you have nothing to build upon and no way to progress. Tempo – the speed of the rhythm. A correct walk has four evenly spaced footfalls. If you listen to a horse walking along a road, you should hear 1 – 2 – 3 – 4 beats. When the even spacing between those footfalls is lost, you get what is called a ‘syncopated’ gait that looks more like the way a camel walks, i.e. with both legs on the same side moving almost at the same time, so the sound would be, 1,2 – 3,4. This is also called ‘lateral’ or ‘broken’, and is caused by tension in the horse’s back disrupting the natural neuro-muscular sequence. The walk pace requires each of the two long back muscles (longissimus dorsi) to relax alternately; when there is no relaxation, the walk sequence is corrupted. 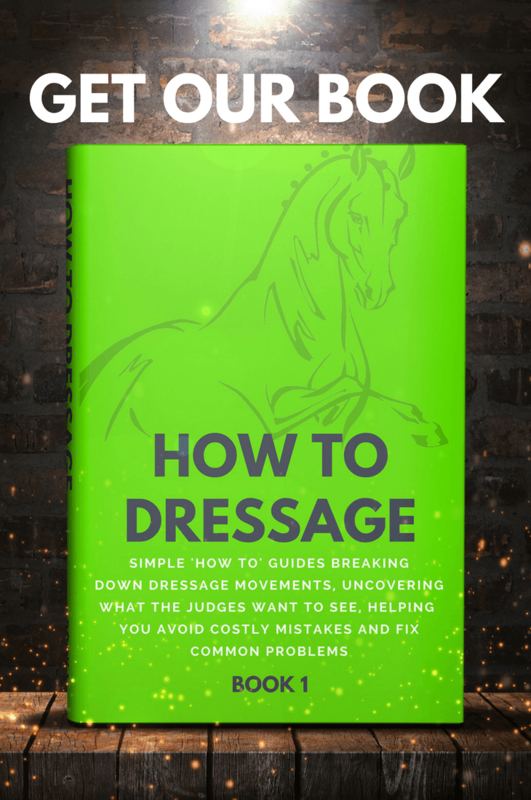 It is a serious fault and a hard one to fix, so has a big impact on the paces mark in a dressage test. A correct walk, on the other hand, is one of the best indicators of good training. The correct tempo for a walk will depend to some extent on the size of natural groundcover. A bigger walk will have a slower tempo, although the easiest image of a correct tempo is encapsulated by the old hunting term, ‘he looks like he’s going home for lunch’. Another way to image it is to picture soldiers marching, purposeful and brisk, but unhurried. 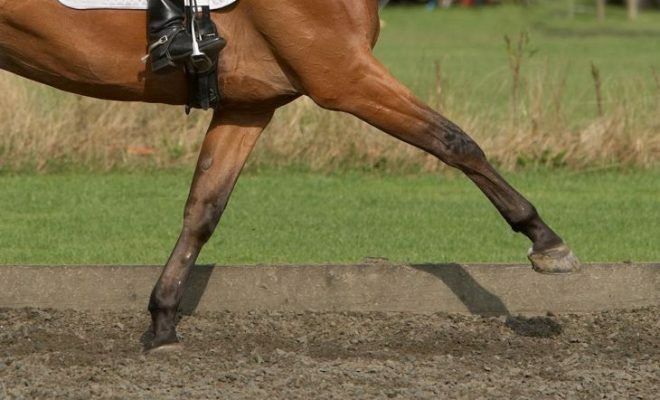 In the correct sequence at trot, the legs move in co-ordinated diagonal pairs with a clear moment of suspension between the two sets of footfalls. As a horse progresses in training, that moment of suspension will increase and become more clearly defined as a result of the horse’s improved strength and balance producing more upward thrust, as well as forward travel. This is where tempo becomes important, as that greater cadence should never become ‘dwelling’ or ‘hovering’, but still maintains the forward impetus. Loss of rhythm in trot can be seen in either uneven height or uneven length of steps with one of more legs. If mild, this would be termed ‘irregular’ (length) or ‘uneven’ (height), and may be caused in odd moments by loss of balance, suppleness, or variations of impulsion or acceptance of the contact. When pronounced it indicates lameness. In right lead canter the right foreleg is the last footfall of the sequence, and vice versa for the left. Incorrect ‘cross cantering’ or a ‘disunited’ canter comes about when the sequence is disrupted, and the pair of legs moving at the same moment are both on the same side. As in the trot, the quality of the gait is enhanced by a pronounced moment of suspension, or ‘jump’, when all four hooves are off the ground, giving the potential for the development of flying changes. The tempo should be crisp but unhurried. The clarity of the correct sequence and tempo of the footfalls makes for good quality rhythm, which in trot and canter can be enhanced with the development of ‘cadence’, a measure of rhythm, tempo and suspension combined. Rythm: Do you have a blueprint for footfall for gaited horses, particularly Tennessee Walkers? Unfortunately, we do not. The closest thing that we have is three articles about the standard gaits of walk, trot, and canter, which does detail the footfalls of each gait, but is not specific to gaited horses. Sorry we wouldn’t be of any more help, but we may look at adding articles for gaited horses in the future.